The most recent edition of the Crime Stoppers television program “Hawaiʻi Island’s Most Wanted” highlights a man wanted on five warrants, a woman wanted on four warrants, and two men and a woman wanted for failing to appear in court. The new episode began airing on January 13. In it, police ask for the public’s help in locating 30-year-old Derek S.K. Fontes, who is wanted on two arrest warrants for violating probation and three bench warrants. He is described as 5-foot-6, 180 pounds with brown eyes and black hair. He may be in the Pāhala Area. The television program also asks for help in locating 50-year-old Jamie Cuizon, who is wanted on two bench warrants and two warrants of arrest. She has no permanent address but frequents the Hilo area. She is described as 5-feet tall, 125 pounds with brown eyes and black hair. In this latest edition of “Hawaiʻi Island’s Most Wanted,” Officer Patrick Menino also asks for help in locating two men and a woman wanted on bench warrants for failure to appear in court. George Tejada, 24, of Puna is described as 5-foot-6, 250 pounds with brown eyes and black hair. Richard Correa, 48, of Hilo is described as 5-foot-10, 190 pounds with brown eyes and black hair. Mory Koi of Hilo is 39 years old. She is described as 5-foot-4, 110 pounds with brown eyes and black hair. Walmart’s 2012 Acres for America program is helping conserve more than 49,000 acres of critical wildlife habitat across the United States. Acres projects connect existing lands to protect migration routes, provide access for people to enjoy the outdoors and help ensure the future of rural economies that depend on forestry, tourism and recreation. Acres for America is a 10-year, $35 million commitment that began in 2005 between Walmart and the National Fish and Wildlife Foundation (NFWF) to purchase and preserve one acre of wildlife habitat in the U.S. for every acre of land developed by the company through 2015. To date, Acres for America has invested in projects in 24 states, protecting more than 687,000 acres. In the summer of 2011, Walmart expanded its Acres investments to include urban conservation projects in Chicago, Los Angeles, New York, and Washington, D.C. The six awards announced today will support projects in California, Colorado, Florida, Georgia, Hawaii, North Carolina and Tennessee. While protecting more than 22,000 acres of rare blue oak habitat in the Sierra foothills, this project completes a key 50-mile ecological corridor linking the Sierra-Cascade ranges to the California Coast ranges and the lowlands of the Great Central Valley to the Mojave Desert. This project protects 1,334 acres of tallgrass prairie adjacent to the Rocky Flats National Wildlife Refuge and connects to 70,000 acres of locally protected open space, greatly expanding recreation opportunities in metropolitan Denver. This 1,530-acre property protects a key migratory corridor for the endangered Florida panther, of which less than 165 exist in the wild. It connects existing panther habitat to the south with 1.5 million acres of new habitat in the Northern Everglades, and will also benefit the American black bear, red-cockaded woodpecker, swallow-tailed kite and snail kite. This 7,550-acre tract in Georgia’s Fall Line Sandhills is the eastern anchor of a larger 30,000-acre conservation corridor adjacent to Fort Benning. The project protects longleaf pine forest and provides important habitat for the gopher tortoise and red-cockaded woodpecker, among other species. On the Big Island of Hawaii, two protected parcels (4,469 acres) provide critical habitat to the palila (Loxioides bailleui), one of the rarest birds in the world, and contribute significantly to its recovery. This group of seven key parcels collectively protects nearly 13,000 acres of forest and 40 miles of freshwater streams along the Appalachian Trail Corridor, which are home to the imperiled southern Appalachian brook trout, 1,000 species of plants, at least 300 species of birds and 20 species of rare and declining salamanders. For more information on Acres for America or to apply for a grant, visit www.nfwf.org or http://walmartstores.com/sustainability. The Humane Society of the United States and Hawaii DLNR Division of Conservation and Resource Enforcement Inaugurate Reward Tip Line As Total Rewards Grows to $30,000 in Monk Seal Killings. The Humane Society of the United States and The Humane Society Wildlife Land Trust announced new efforts to support the Hawai‘i Department of Land and Natural Resources, Division of Conservation and Resource Enforcement’s work to combat poaching and designated wildlife-related crimes by sponsoring a toll-free, confidential reward tip line, 1-855-DLNR-TIP. The statewide tip line will allow citizens to confidentially report information about poaching crimes to law enforcement. The HSUS will offer $2,500 rewards for information leading to the arrest and conviction of the person(s) responsible for specific, predetermined cases. The first case under this new reward program and tip line involves three monk seals killed on Moloka‘i and a fourth monk seal found killed on Kaua‘i. Necropsies performed on three of the four seals confirmed the deaths were suspicious. The fourth case is pending additional information. Anyone with information about these cases is asked to call the confidential reward tip line. Along with The HSUS’s $2,500 reward offering, the Conservation Council for Hawai‘i, the Center for Biological Diversity and the Marine Conservation Institute are collectively offering $2,500 for each incident. A generous anonymous local donor has offered to match these rewards, bringing the reward total up to $30,000, or $10,000 per seal. Wildlife officials estimate that tens of millions of animals are poached annually nationwide, but less than 5 percent of poached animals come to the attention of law enforcement. Wildlife officials report that poachers often commit other crimes as well. • Hunted to the brink of extinction in the late 19th century, Hawaiian monk seal populations have been declining since modern surveying due to human interactions such as intentional killing, marine debris and fishing gear entanglement, disease and loss of habitat. • Hawaiian monk seals are one of the world’s most endangered animals, with population estimates less than 1,100. Hawaiian monk seals are endemic to Hawai‘i and found nowhere else in the world. • In June 2010, the Legislature passed Act 165, specifically to increase penalties for taking (which is defined to include harassing or killing) a monk seal. It’s a Class C felony (up to 5 years imprisonment). Someone convicted under this law could face a maximum fine of $50,000. Monk seals are also protected under the federal Endangered Species Act and Marine Mammal Protection Act, which makes it a crime to kill or harm a Hawaiian monk seal. The U.S. Department of Agriculture (USDA) announced that on Dec. 1, the Government of Japan approved Rainbow papaya for commercial shipment to Japan. The Rainbow papaya is genetically engineered to be resistant to the papaya ringspot virus. This announcement marks the beginning of a new chapter for Hawaiian papaya growers. In the 1990s, an outbreak of the papaya ringspot virus decimated Hawaii’s papaya crop. Scientists from Cornell University, the University of Hawaii, The Upjohn Company and USDA’s Agricultural Research Service used biotechnology to develop the Rainbow papaya, which is resistant to the virus. After receiving full clearance from the U.S. government, the Rainbow papaya was commercialized in 1998. Now, the majority of Hawaii’s papaya crop is resistant to ringspot virus through genetic engineering. Japan was once the major market for Hawaiian papayas, with annual sales reaching $15 million in 1996. These sales dropped to $1 million by 2010 while U.S. exporters awaited Japan’s approval of Rainbow papaya. With Japan’s approval for import of Rainbow papaya, U.S. papaya producers are set to regain access to this important market, supporting jobs through increased exports. Currently, the American brand of agriculture is surging in popularity worldwide. Farm exports in fiscal year 2011 reached a record high of $137.4 billion—exceeding past highs by $22.5 billion—and supported 1.15 million jobs here at home. The agricultural trade surplus stands at a record $42.7 billion. Horticultural product exports are forecast to reach a record of $28 billion, based on steady demand and high prices. Exports of fresh fruits and vegetables are expected to be strong to Japan, Canada and the European Union. Strong agricultural exports contribute to the positive U.S. trade balance, create jobs, boost economic growth and support President Obama’s National Export Initiative goal of doubling all U.S. exports by the end of 2014. Finalists for new Dean of College of Tropical Agriculture and Human Resources will visit UH Mānoa campus. Four finalists have been identified for the position of Dean, College of Tropical Agriculture and Human Resources and Director for Research and Cooperative Extension at the University of Hawai‘i at Mānoa. The four are scheduled to participate in a three-day period of visits that covers college department discussions; meetings with senior administrators, faculty, staff, students and members of their respective professions; and a public presentation. 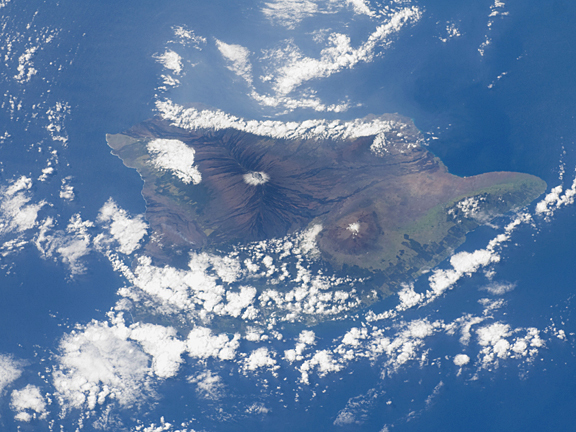 The visit will also include a one-day visit to the Big Island.